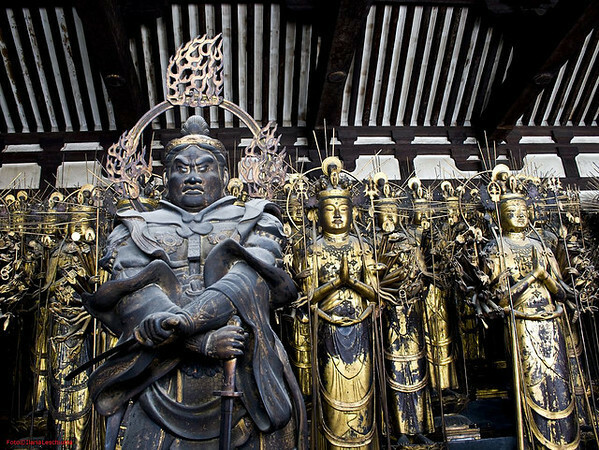 Day 3: Kyoto - standing in front of the 1001 Kannon are 28 guardians, each of which is a Buddhist god. - Sanjūsangen-dō was originally constructed in 1164, suffered a fire in 1249, and was rebuilt in 1266. - 124 of these statues are original. The rest were destroyed in the fire and were recreated as part of the 1266 reconstruction. - The statues are made of wood from cypress trees.